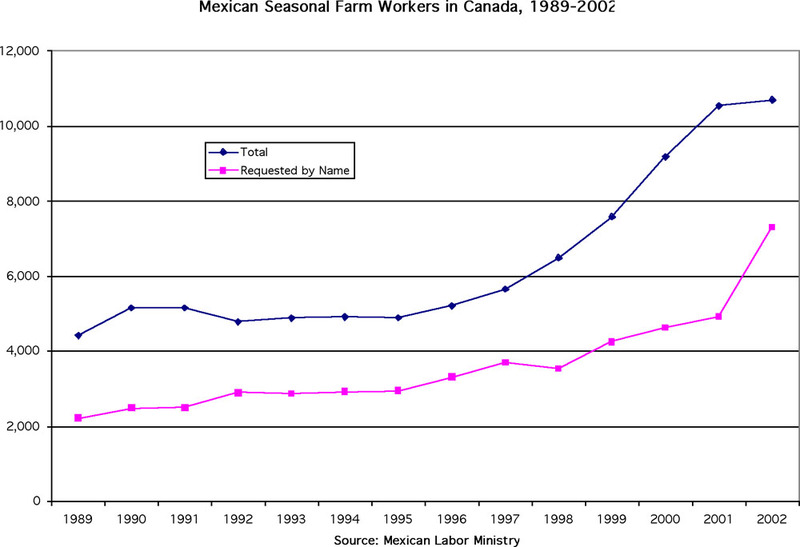 Since 1974, Mexican workers have been employed seasonally on Canadian farms under an MOU. The number of guest workers doubled in the 1990s, to almost 11,000 in 2002. Canadian farmers request over half of the Mexican workers by name.